The Frighteners was a groundbreaking film. No one really talks about as such, but it was. We had never seen things like this before. The ghosts seemed real, the graveyard scenes are gorgeous, and the interaction between the CGI elements and the real life elements are almost seamless. Back then Jackson took a lot of care in crafting his sequences involving CGI because it was something that was never done before. While other filmmakers were trying to make green screen (and the forgotten blue sceen) elements look kinda real, Jackson was filming his movie two or three times, due to the many layers that were needed for the ghosts. Now, I said "back then" a few sentences back in reference to Jackson and his few on CGI. You see, Jackson is a director who has become so used to CGI that he will use it even when it is not needed. 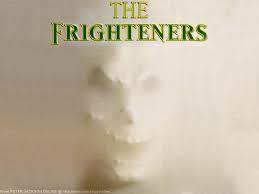 The Frighteners was made before Weta Digital, Jackson's effects house, rivaled ILM in the "who's the best?" Jackson would use the CGI when it was needed, not whenever. Roger Ebert called The Frighteners a "demo reel", speaking of the film's effects. It really is a demo reel, but one that has a story and real characters, especially Jeffrey Combs' FBI agent. It is a movie that works even if the story is predictable. It is that last movie that Jackson made before he went big time.